For an added sweet crunch combine 1 cups walnuts with 2 tbsp brown sugar and 2 tbsp butter in the food processor. Pulse until you have the right consistency and put on top of the muffins before you pop them in the oven! 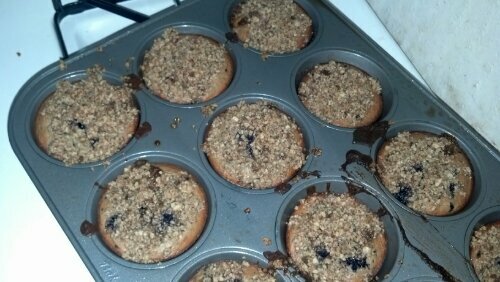 Blueberry Protein Muffins are a perfect post workout meal! I’m Courtney Julia! I’m a traveling yoga instructor, personal trainer, and chaser of adventure! My Husband and I have been traveling for almost 2 years and I have been teaching and practicing as we go!